I've said multiple times on this site that I find fan art very intriguing. Just something about that labor of love feeling that I appreciate more than just screencaps from TV shows for instance. 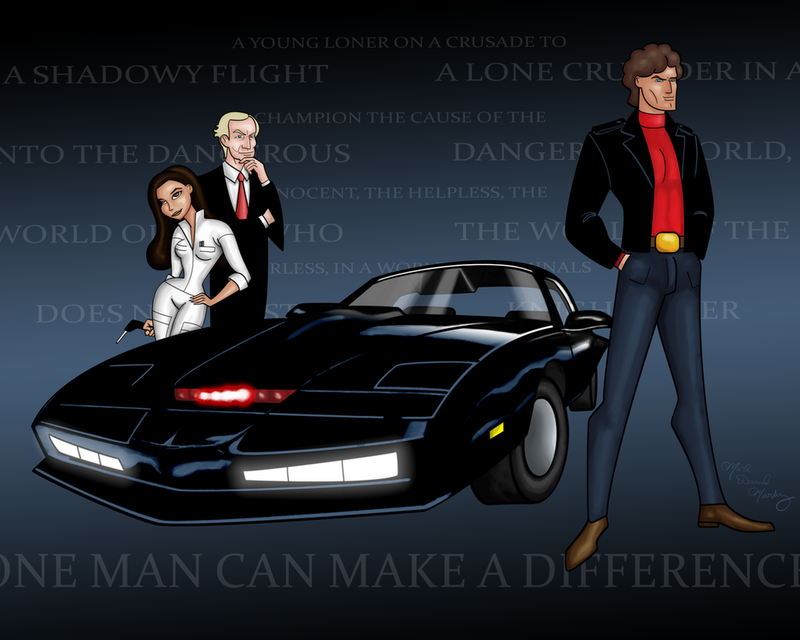 Do yourself a favor sometime and head over to DeviantArt.Com and search for your favorite '80s property. You'll come across some awesome stuff. 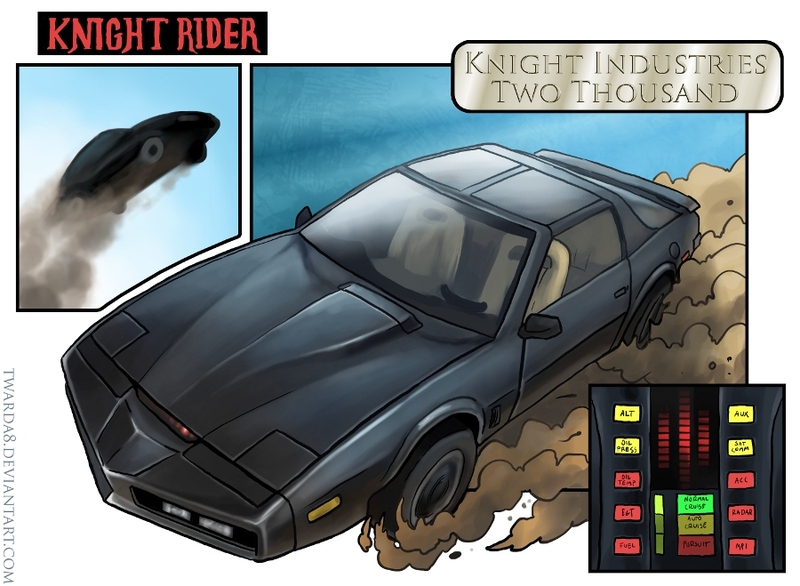 I had Knight Rider in my brain this week and decided to see what fan art masterpieces I could find. Of course, K.I.T.T. is a fan favorite among car enthusiasts like the image above by valaryc. 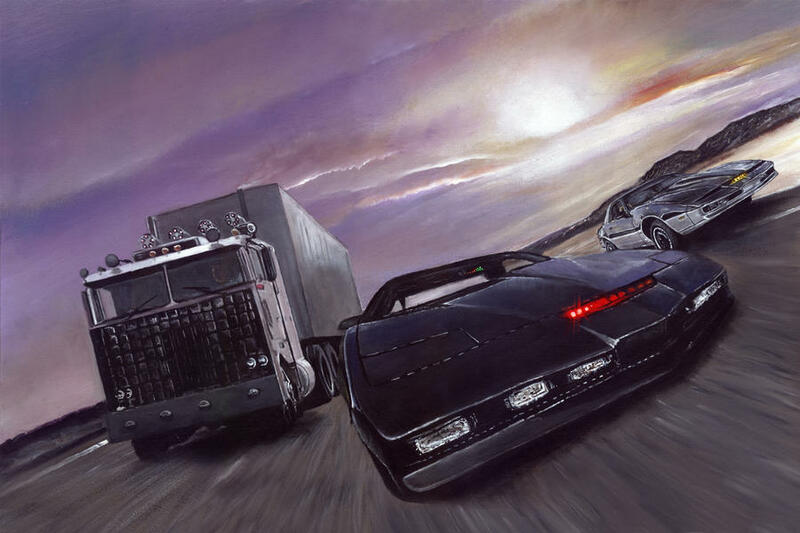 The closeup of K.I.T.T. 's cylon eye is so iconic and instantly recognizable with the custom pointed nose of the Trans Am. 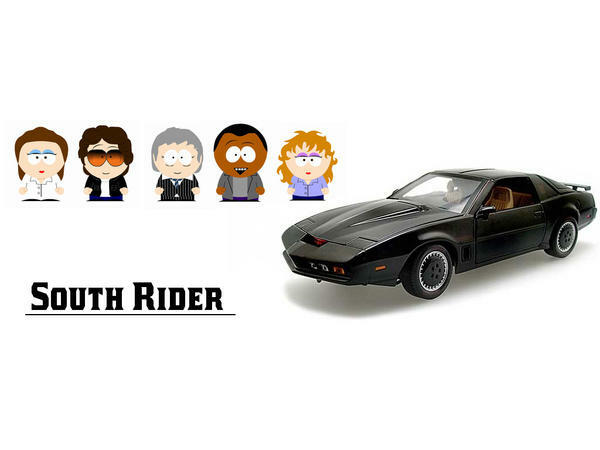 What if Knight Rider had produced an animated series? That's the concept behind Digital-Jedi's image. I guess we can look forward to something like this when the new comics are released! Solman1's "A Shadowy Flight" showcases K.I.T.T. and his two most famous rivals. On the left is Garthe Knight's Goliath and to the right is the Knight Automated Roving Robot known as K.A.R.R. Another by valaryc which uses K.I.T.T. 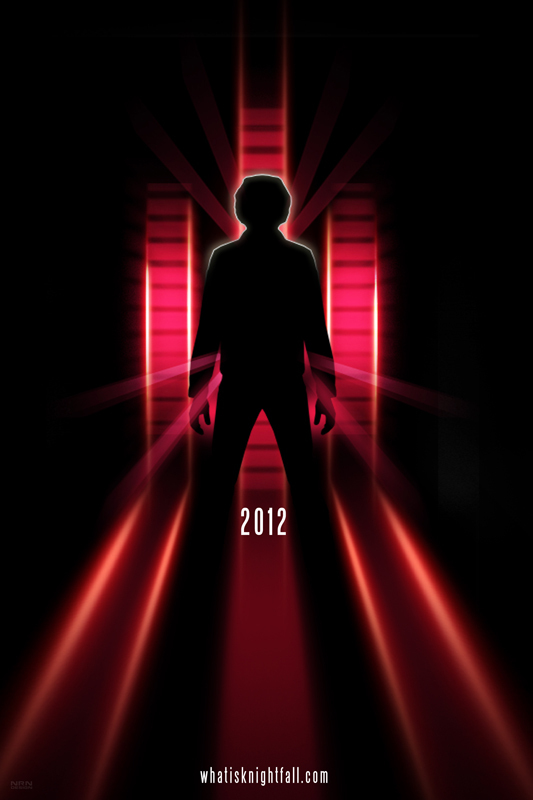 's voice modulator behind Michael Knight's silhouette. I'm not sure what Knight Fall was in 2012, but this teaser poster is great. Hilarious! DanteXY takes the characters from the show including R.C. and April and gives them a South Park look. 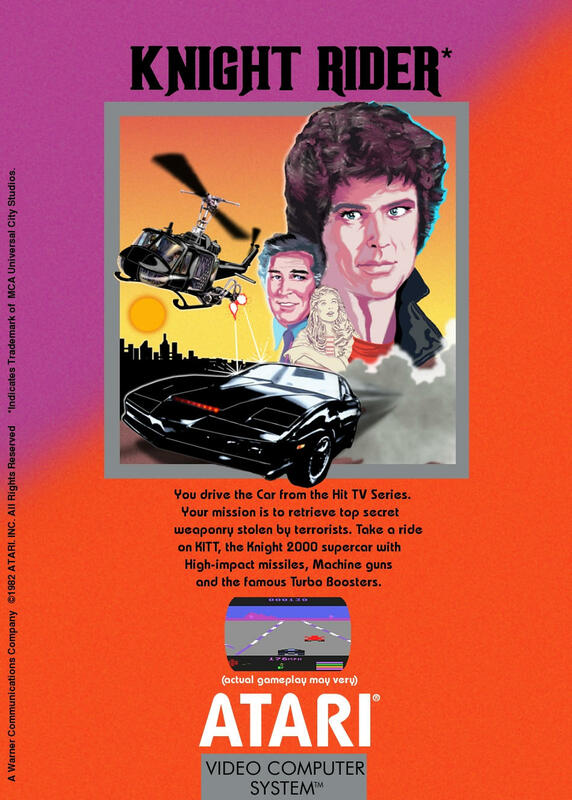 Here's another fantastic poster by Atariboy2600 who conceptualizes what Knight Rider would have looked like for the Atari 2600. 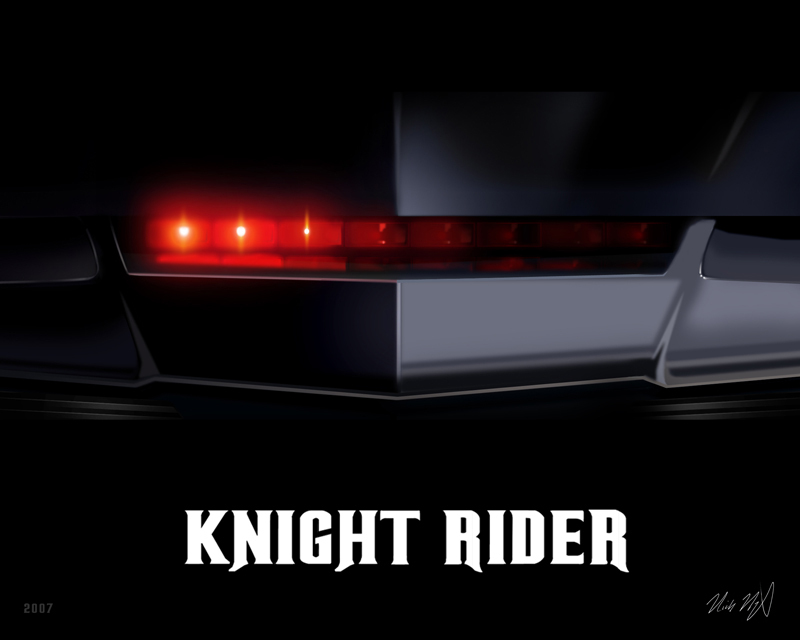 Twarda8 captures more comic book feelings with this montage of K.I.T.T. Seen more? Post a link in the comments!